In like a lion, out like a lamb. This month will be full of moments where you will be gazing down at your old winter boots thinking, I'm so over this weather. One day soon it will officially be spring and we can dig out our summery shoes and live happily ever after. Until then, we will stand strong in this awkward in-between season. 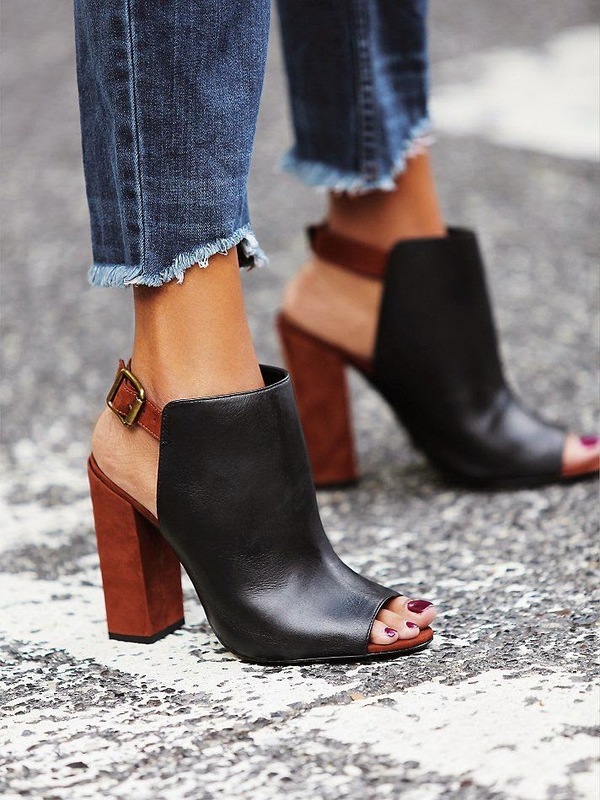 If you are like me and live in ankle booties during the winter and sandals during the summer, then this time of year creates the need for an in-betweener shoe. That's where shooties come in. Shooties offer the coverage of an ankle bootie and the fashionable design of a peep toe heel. They can be easily incorporated into any spring outfit. They are carefree and look killer when paired with a fit and flare dress or boyfriend jeans. Here's a few of my favorite options currently in store. Simply click on any box to shop the look. These shoes are killers Jess! Love them all. Can you please tell me where I can get the black booties with the brown heel?